The New Ashgate Gallery is delighted to welcome back Emma Dunbar's vibrant and dynamic paintings for a much anticipated solo show. 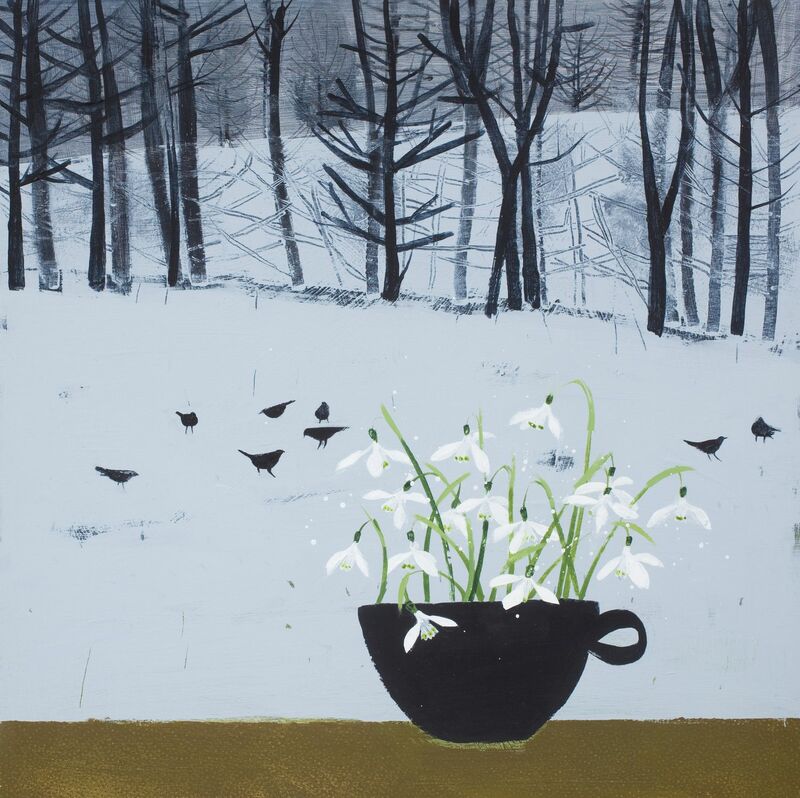 While Emma's show will feature all seasons, for the first time, Emma has prepared a substantial new body of work, exploring colour in the snow, making this show a special treat to our collectors and art lovers. The exhibition also explores the joyful richness of the everyday. 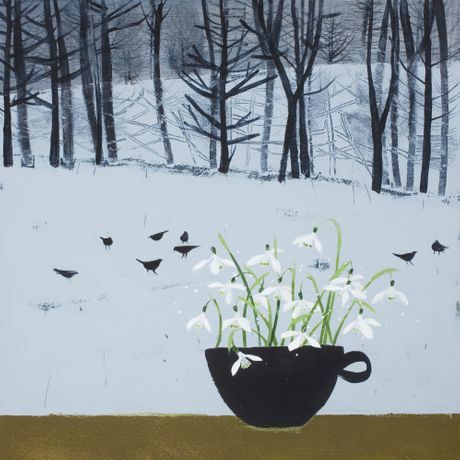 Emma gathers ingredients from her home, travels, the landscape, combining pattern and familiarity to create colourful and recognisable paintings. Her attraction to colour and the decorative qualities in everyday objects provide the foundation for her art while her training as a printmaker is evident both in the use of blocks of flat colour and in the way she scratches through surfaces to reveal pre-laid colours underneath. At the same time in the gallery, we feature the decorative ceramics by Ken Eardley. Ken's colour and patterns focus on brightening up any kitchen and interior, bringing vibrancy into the everyday. They enter into a dialogue with Emma's work.